Hello again! It's me, the intern. First, please know that I am an avid iPhone user & love Apple's products but....for the sake of this post, I'll try to remain unbiased. 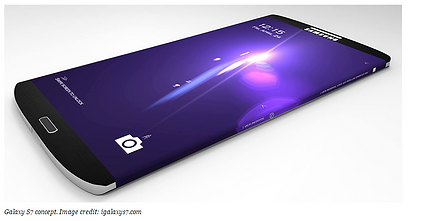 There's been tons of talk lately over what the next iPhone and Samsung will look like. Please also know that this is not concrete information, and has not been "officially released" from neither Samsung nor Apple. Basically, a lot could change from now until March. Over the weekend, news dropped that the Galaxy S7 will launch in early March. Not many details have been released as to what this new Galaxy will include, but word on the street is, the camera will be the main focus (pun intended). Instead of increasing the megapixels count, they're including features that will boost the camera's ability to take grade A pictures at night. It was also said the camera will include a dual pixel auto focus system like Canon uses. Other main features will include dust and water proof, as well as a larger battery to keep up with your busy lives. What to expect from iPhone 5SE: the same display and camera as the iPhone 6, support of Apple Pay, and Live Photos that were first introduced in the iPhone 6s. Although the phone will support Live Photos, it will not include 3D Touch. 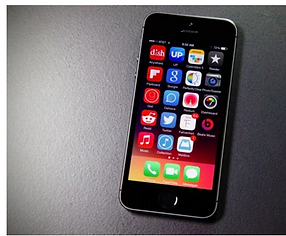 The features scream iPhone 6s, but the size says iPhone 5. Which is great if you can't get over all the rage of what has been named "phablets" or phone tablets, which includes anything with a screen size of 5- 6.9". Now, if you love the iPhone 6s, but hate the size, you'll want to wait until March to upgrade to the iPhone 5SE - named SE for special edition or enhanced. You can expect to see the iPhone 5SE in all the same colors the 6S is available in.And yes, that means rose gold too. Personally, I've become so used to the larger screen, that I can't imagine going back. But the newer version isn't being built for people like me; it's for those with the iPhone 5 who aren't quite ready to turn in their small cellphone for a "fabulous phablet." Now, they don't have too! So whether you're an iPhone or Samsung user, there's tons to look forward to this spring!